Note: this post may contain affiliate links, which means that I receive a small commission when you make a purchase through one of these links. I only recommend books that I have read myself and know to be of good quality. These small commissions help support this blog and YouTube channel and allow me to continue to make videos and write posts like this one. Thank you for your support! ​​Are you thinking about your New Year’s resolutions for this year and want some inspiration? Or maybe you’re just curious about what ancient Egyptians strove to do better at. Today we’re talking about 7 ancient-Egyptian-style New Year’s resolution ideas. These ideas come straight out of actual ancient Egyptian wisdom literature and autobiographies, but their advice is timeless! Rather watch than read? Check out our video version of this post. Of that which he planned to tell. In other words, Ptahhotep is saying that you should hear out a person who is upset. Whether you disagree with the person, can or can’t help them, you should hear what the person has to say because it will make him feel better. Interrupting him will benefit no one. ​This is not just good advice for ancient Egyptians, but for everyone who wants to make a greater connection with the people in their lives or who want to start new relationships. Whether a person is upset or she has good news, nothing will make her feel better than you giving her your full attention and truly listening to what she has to say. There is no treatment for it. ​In other words, greed is not only something to be avoided for moral reasons, but also because it tears apart families and makes people hateful. Instead, we should appreciate what we have and, as Ptahhotep says, follow our hearts. The third resolution is to do more to help others. Many ancient Egyptian texts, including biographies and wisdom texts emphasize helping those less fortunate, whether through giving or through protecting them from harm. ​Being more giving and charitable is among the most common ancient Egyptian advice and also the most common behavior that ancient officials claimed to have done. The benefits of giving are many, but as Ankhsheshonq points out, it’s even sweeter for the giver than the receiver. “Set your heart on books! Here at The Dead Speak Online, we would tend to agree - we do love books (and videos!) - and we include a list of recommended books with every blog post and video. We would also encourage you to read our blog and watch our videos as part of learning something new this year, but we're biased! The fifth ancient Egyptian resolution is one of the most common resolutions among modern Americans: practice moderation in eating and drinking - otherwise known as going on a diet! and the belly is not sated, restrain it! “Do well by your body in your days of well-being. In other words, not only should you restrain yourself because its good social behavior and good for your character (in the ancient Egyptian viewpoint), but you should also take care of your body while you are still well because you never know what’s coming down the line for your health or how long you will live. Better to face whatever might happen from a healthier starting point. The sixth resolution is one that is perhaps not in the top ten of modern resolutions, but is one that is definitely needed in our modern, western society: stress less about money and enjoy life more. 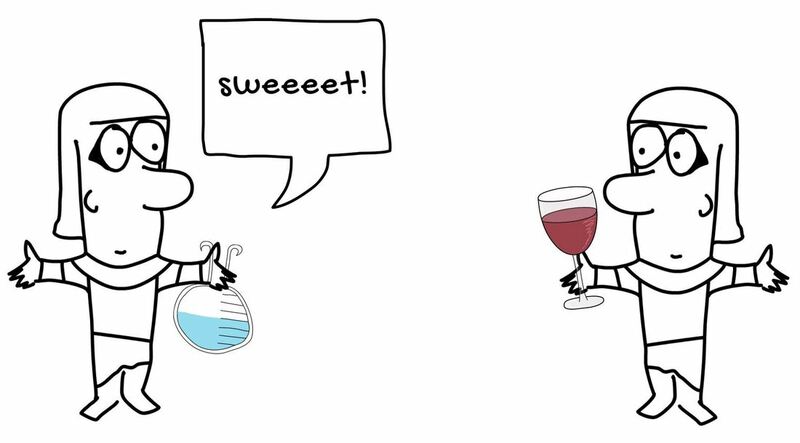 “Drink till drunk while enjoying the feast day! 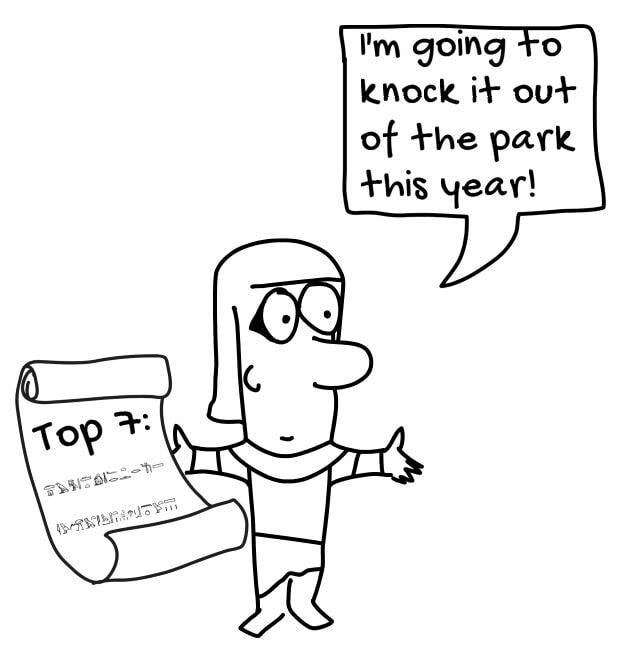 ​You probably noticed that this is somewhat contradictory to resolution #5 and its associated quotes! The ancient Egyptians were not always consistent, just like modern people of the same culture do not always have the same values. However, one can potentially adhere to both by taking care of the body on a regular basis, but also “letting your hair down,” so to speak, for special occasions, like festivals. After all, spending time with friends and family and having a good time are also important for your health. This is actually pretty common advice in modern self-improvement circles because science has shown that we tend to take on the actions and emotions of those around us. So, for example, if you hang around negative people, you will be more negative yourself. This is a phenomenon called social contagion. Whether you want to get ahead in your career or simply live a happier life, you should take a look at the people around you and perhaps re-prioritize how you spend your time and with whom. Now I have a question for you: what is your New Year’s resolution? If you don’t have one yet, what resolutions are you considering? Let me know in the comments below, and be sure to check out other people’s comments for some extra inspiration! The following two books/series are classics used by students of Egyptology and Egyptologists. They both offer a variety of texts from ancient Egypt – everything from autobiographies and wisdom literature to love poetry and hymns - translated into English. 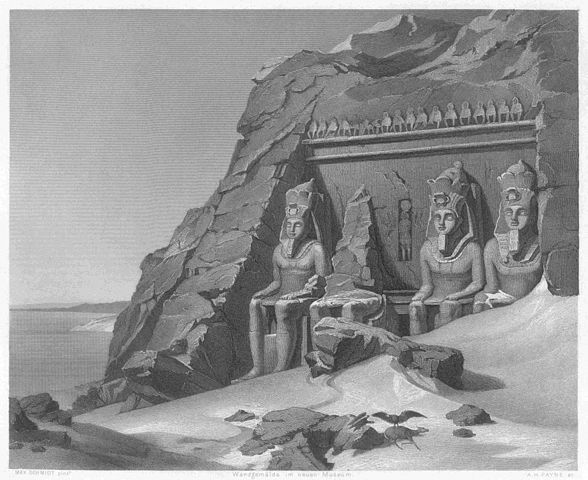 Simpson, Ritner, Tobin, and Wente, The Literature of Ancient Egypt: An Anthology of Stories, Instructions, Stelae, Autobiographies, and Poetry; Third Edition. Maxims of Ptahhotep, Maxim 17: Lichtheim, Ancient Egyptian Literature I, p. 68. ​ Maxims of Ptahhotep, Maxim 11: Lichtheim, Ancient Egyptian Literature I, p. 66. ​ Maxims of Ptahhotep, Maxim 19: Lichtheim, Ancient Egyptian Literature I, p. 68-9. Statue inscription of Nebnteru: Lichtheim, Ancient Egyptian Literature III, p. 22. Instruction of Ankhsheshonq, Lichtheim, Ancient Egyptian Literature III, p. 174. The Satire of the Trades: Lichtheim, Ancient Egyptian Literature I, p. 185. The Satire of the Trades: Lichtheim, Ancient Egyptian Literature I, p. 191. Instruction of Ankhsheshonq, Lichtheim, Ancient Egyptian Literature III, p. 166. Speech of Sishu, father of Petosiris: Lichtheim, Ancient Egyptian Literature III, p. 51. Instruction of Ankhsheshonq, Lichtheim, Ancient Egyptian Literature III, p. 164. Instruction of Ankhsheshonq, Lichtheim, Ancient Egyptian Literature III, p. 169. Man yelling, heart book pages, jug/cup, bread loaf, and fool images are licensed under CC0 Creative Commons. All other images were created by theDeadSpeak.Online using VideoScribe. Note: this post may contain affiliate links, which means that I receive a small commission when you make a purchase through one of these links. I only recommend items that I have used myself or for which I otherwise have good reason to believe to be of good quality. These small commissions help support this blog and YouTube channel and allow me to continue to make videos and write posts like this one. Thank you for your support! What do you get for the young archaeologists and Egyptologists in your life? We’ve got you covered with this list of fun, educational, and creative activities and toys. We also have our first ever giveaway in this post! We’re giving away one of the items from this list. Details on the giveaway and how to enter follow below. Rather watch than read? Check out our YouTube video. ​As always, be sure to follow the instructions and safety guidelines provided with any of these items. 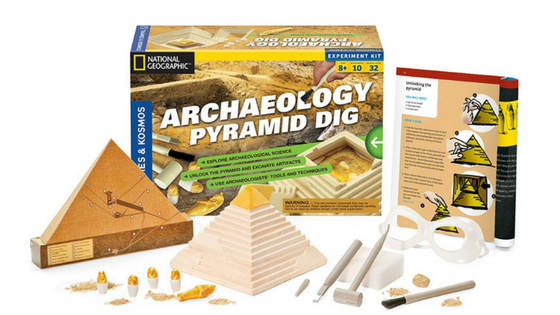 First, a pyramid archaeology kit is a perfect fit for any inquisitive kid, but especially for those enamored with ancient Egypt or archaeology. Young archaeologists about 6 to 8 years old can chip away at the Egyptian Pyramid Dig Kit and discover hidden artifacts or those about 10 to 12 years old can excavate and record the contents of the Classic Science Archaeology Pyramid. You can imagine their excitement as they uncover the buried artifacts within these pyramids. If your young Egyptologist is more into building things than taking them apart, then a kit for constructing a pyramid and other monuments might be up her alley. Elementary aged kids can build a pyramid and even chambers for a sarcophagus with HABA’s pyramid building blocks, while the older set can enjoy constructing 3-D paper models of three of Egypt’s most famous monuments – a pyramid, sphinx, and the temple of Abu Simbel. ​If building puzzles is more his style, the National Geographic 4-D Ancient Egypt Puzzle may be just the ticket! It’s 4-D because it has not only 3-D replica models of monuments that you use to complete the landscape of this over-600-piece puzzle, but it also comes with a free smartphone app that helps you learn all about ancient cities. Looking for a gift for a young person in your life who not only loves Egypt, but also likes to create? Then the next few gift ideas are for you. 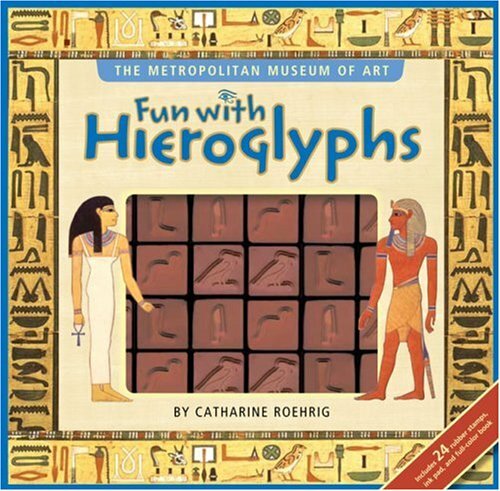 First among these is the wonderful Fun with Hieroglyphs stamp set. It’s a set of 24 stamps, each with a common hieroglyphic sign on it. Kids can use these stamps and the included information to learn the sounds of these signs and write out names and words with them. The kit was created by an Egyptologist at the Metropolitan Museum of Art and provides an accurate and age-appropriate introduction to hieroglyphs. I had this kit when I was about 10 years old, and I couldn’t get enough of it! Hey, here I am today as an Egyptologist who reads actual ancient Egyptian hieroglyphs, so you never know where this could lead! I do recommend purchasing an extra ink pad to go with the stamp set. 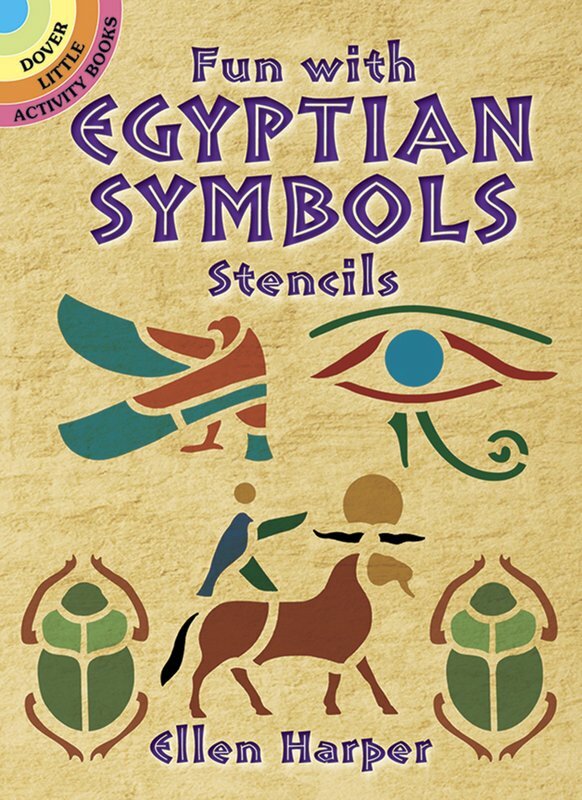 ​Fun with Egyptian Symbols Stencils offers a variety of ancient Egyptian designs for a very low price. Kids and adults can create their own decorative programs. Of course, with all this writing and painting going on, you’re going to want some actual papyrus to decorate or to use to write letters in code to your friends! 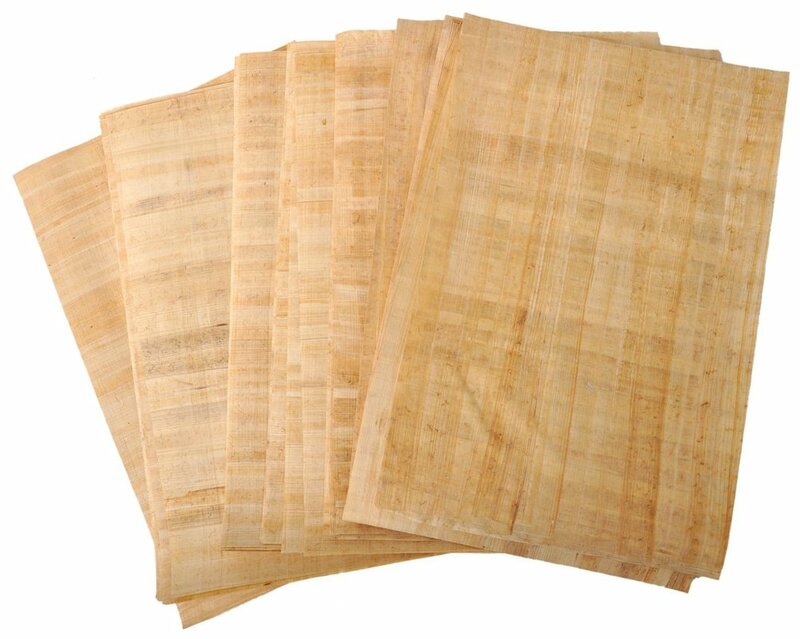 There are wonderful packages of papyrus sheets in various sizes, even bookmark-sized! ​It’s a bit harder to find these days, but the book Pyramids: 50 Hands-On Activities to Experience Ancient Egypt has wonderful activities. I recommend not paying much attention to the general text about ancient Egypt in this one and just focusing on the fun activities, such as building your own Egyptian Nile Valley and mummifying flowers. Is your budding archaeologist more of an action figure and playset aficionado? Fear not, Playmobil makes a variety of wonderfully detailed Egyptian playsets. I wish I had had these when I was a kid! Playmobil makes an amazing variety of ancient Egypt kits, but I’ll stick to just two iconic ones here. 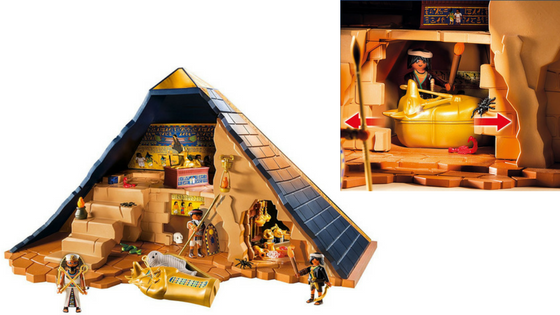 First, for the Indiana Jones fan, there is the Pharaoh’s Pyramid set, which includes a pyramid with five chambers with treasures and sneaky traps! If you’re looking for a unique gift for someone into toy soldiers, the Egyptian Soldiers 33 piece set is a perfect fit. It even has some nicely historic features, such as the animal hide shields. ​For the reader in your family, here are a few books that are both delightfully illustrated and written by people who understand ancient Egypt. Want to learn about mummification? Leena Pekkalainen and Tamara Bower have you more than covered with their lovely books on the topic. 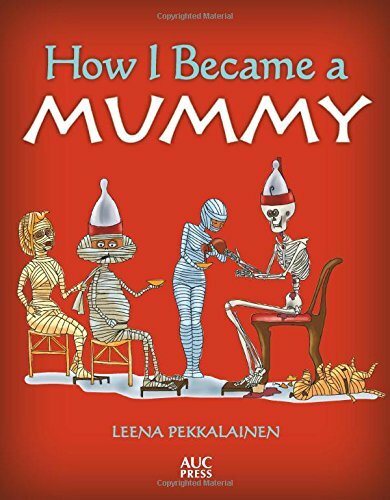 In How I Became a Mummy, Pekkalainen tells the story of Mr. Mummific and the process of mummification that he went through to become a mummy. Make sure to pick up a free coloring page from Pekkalainen's website too! Bower, on the other hand, tells the story of the son of an embalmer and how he helps in the mummification process in her The Mummy Makers of Egypt. 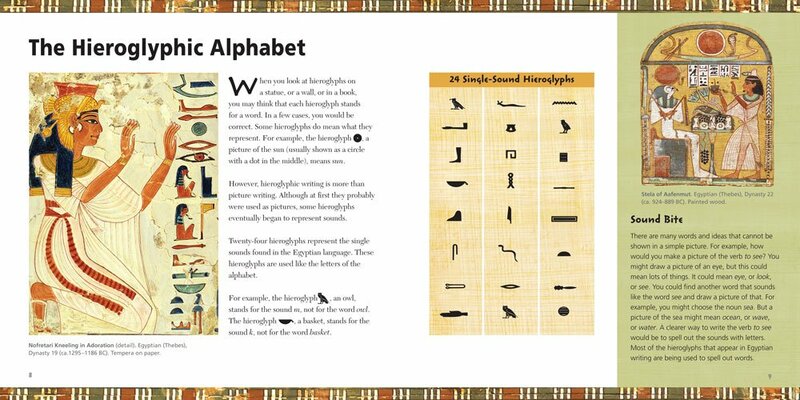 This book is also lavishly illustrated in a classic ancient Egyptian style and, for the true Egyptophile, even includes some hieroglyphic vocabulary related to the story. ​Bower also has two other wonderfully illustrated children’s books that are based on actual ancient Egyptian stories: The Shipwrecked Sailor and How the Amazon Queen Fought the Prince of Egypt. They are a little harder to find these days, but are well worth finding. ​For your tween, teen, or adult who loves card games or board games, these last two items will be a perfect fit. First, Piatnik’s Egypt Playing Cards pack is a full deck of playing cards with a beautiful ancient Egyptian work of art featured on each card. ​If board games are more her style, then a board for playing the ancient Egyptian game of senet will be sure to hit the mark. It features a wooden playing board and wooden game pieces, as well as instructions for how to play the game. Even King Tut had games like this one in his tomb! I’m excited to announce also that I’ve teamed up with Leena Pekkalainen to give away a free copy of her book, How I Became a Mummy! Visit the site linked in the description below to enter and win a copy for yourself or for your favorite Egyptologist-in-the-making! Would you like to see more recommendation and review videos like this one? What types of things you would like me to feature? Let me know in the comments below. Good luck in the giveaway! Thanks for reading and see you next time! It had been over a thousand years since anyone had written or understood Egyptian hieroglyphs. 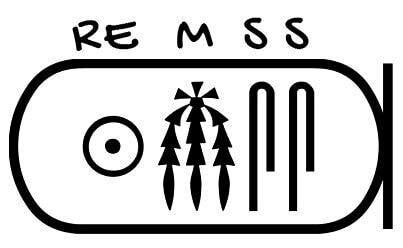 Many had tried to decipher this hieroglyphic script and failed. So, how did Jean-Francois Champollion succeed where others had failed for centuries before him? What were the keys to his success? The year is 1822, and scholars have been making some headway into understanding two types of scripts that the ancient Egyptians used, the more famous hieroglyphic script and the demotic script, which was used from the Late Period to the end of Pharonic history as a kind of cursive script. The recent breakthroughs have been largely due to the French army’s 1799 discovery of a peculiar stone in a military fort wall at the town of Rashid (often called by its Greek name, Rosetta). This curious stone, which would come to be called the Rosetta Stone, had been reused to build that wall, as it was clearly ancient and had three inscriptions on it, one in Greek, one in demotic Egyptian, and one in hieroglyphic Egyptian. 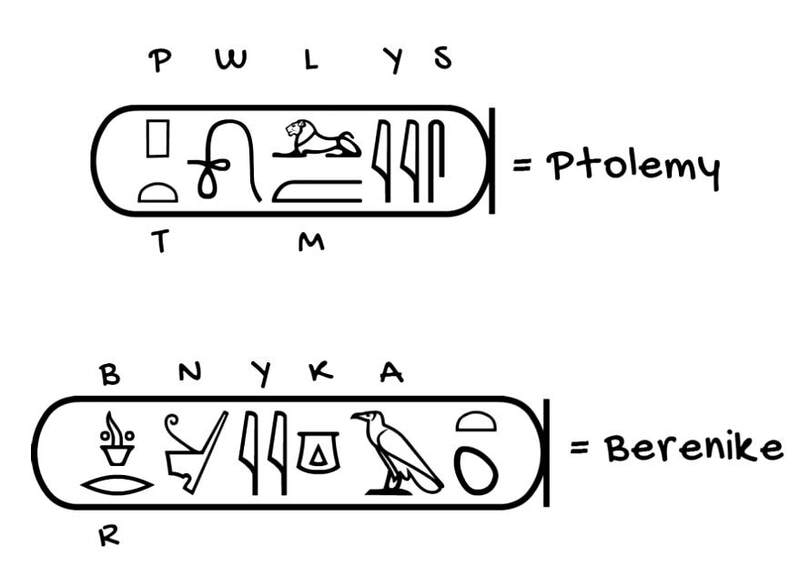 With this groundwork lain, the English polymath Thomas Young was able to compare the hieroglyphic signs within ovals – or cartouches – to the royal names, such as Ptolemy and Berenike, that appeared in the Greek text. 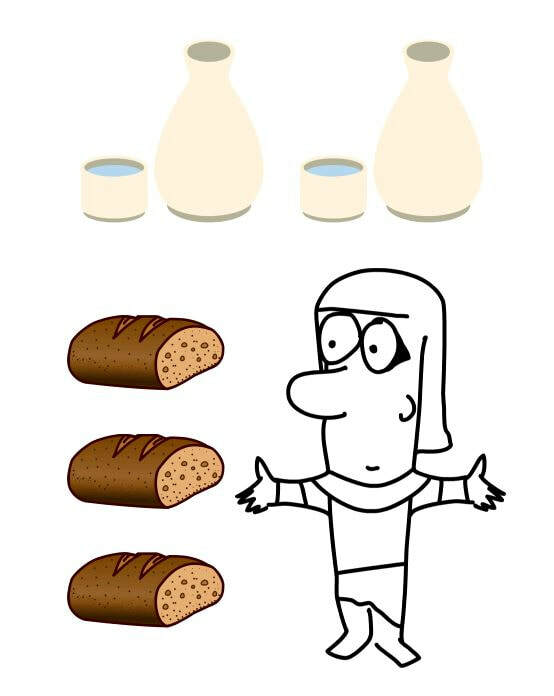 By doing this, Young was able to figure out the phonetic sounds of the Egyptian signs, such as a box for the sound of the letter “p”, a loaf of bread for the sound of the letter “t”, and a folded cloth for the sound of the sound “os” (now understood as just “s”). Before this time, it was universally believed that hieroglyphs were purely symbolic in meaning. That is, each sign or set of signs conveyed ideas, concepts, or things, but not sounds such as an alphabet or a syllabic script would do. This new work showed that there were some signs that could be used to represent sounds, at least for when transcribing foreign names, such as the Greek name Ptolemaios (Ptolemy). The other Egyptian script on the Rosetta Stone, demotic, was assumed to be alphabetic, unlike Egyptian hieroglyphs. However, Young figured out that the demotic script actually had developed from hieroglyphs and, thus, could not be a pure alphabet. 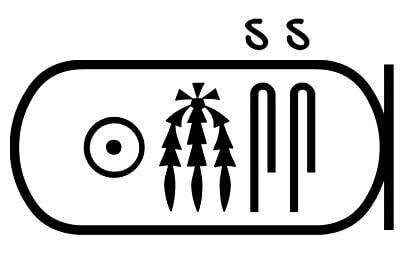 He recognized the similarity that some of the demotic signs had with the corresponding hieroglyphic text. This caused a problem, since it was believed that demotic was a purely phonetic (sounds-based) alphabet, while hieroglyphs were symbolic and carried no sound value, with the exception of those used to write foreign names. Young determined that, in fact, demotic was composed of both symbolic or conceptual signs and alphabetic signs. However, Young was unable to take the next step and apply this same idea to the hieroglyphs. Although he could not figure out how the hieroglyphic signs he saw on the Rosetta Stone could work conceptually to convey the same things that the Greek version of the inscription said, he still believed, as did everyone else at the time, that the Egyptian hieroglyphs had purely conceptual or symbolic meaning, rather than representing sounds. Enter the Frenchman Jean-Francois Champollion, a man who had obsessively studied a wide variety of written languages since he was a boy and had become an expert in Coptic, the language used in the Egyptian Christian Church. Initially, Champollion was no different than those who came before him and believed Egyptian hieroglyphs to be purely symbolic in meaning. However, by 1822, Champollion had changed his mind, but only in relation to foreign names, like Thomas Young. However, once he had made that shift in his ideas about Egyptian hieroglyphs, he was able to figure out many additional phonetic hieroglyphs beyond what Young had done by examining the names of Greek and Roman rulers in Egyptian texts. Luckily, by 1822 he now had access to copies of many more inscriptions than were previously available to researchers. In these inscriptions – most notably on the so-called Bankes Obelisk – he had access to a variety of new Greek and Roman names. The Bankes Obelisk had a text in Greek on its base that he could use to compare to the names of Ptolemy and Cleopatra in the hieroglyphs. He also had gained access to a papyrus with texts in Greek and demotic, which allowed him to figure out the demotic spelling of the name Cleopatra. This breakthrough in demotic allowed Champollion to hypothesize how Cleopatra would be spelled in hieroglyphs because he had already recognized the equivalencies between many demotic and hieroglyphic signs. Between this and the hieroglyphs that he already knew from the name of Ptolemy on the Rosetta Stone – those for “L,” “E,” “O,” and “P” – he was able to identify the name of Cleopatra on the Bankes Obelisk. 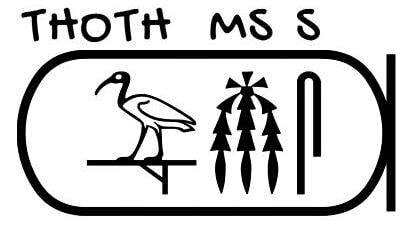 He then moved on to another name in a cartouche: the first sign, a picture of an Ibis, was known to be a symbol of the god Thoth. Champollion put this together with the other signs that he now knew and figured out that this name must be Thutmosis (Thothmes), a Pharaoh of the 18th Dynasty who was named in Manetho’s history. Champollion then realized that the sign he believed to be “M” was used on the Rosetta Stone in the places where the Greek text talked about birthdays, suggesting that this sign also spelled out the word for “birth,” which in Coptic was “mise” (since the hieroglyphs represent only consonants and not vowels, the sign actually stands for the two consonants “M” and “S”). Now Champollion had finally found the key! He was able to keep going to the next name and the next name. When he made this breakthrough, Champollion reportedly ran to his older brother’s office, burst in and said, “I’ve done it!” He then passed out before he could explain to his brother what he had figured out. He was unconscious for five days, after which he returned to work and, only about a week later, he gave a lecture on the topic at the Academy of Inscriptions and Belles-Lettres announcing his breakthrough. He would publish this lecture the following month as the now famous Lettre à M. Dacier. ​However, up to this point, Champollion still believed that – other than when used for names – hieroglyphs typically represented ideas or things, not sounds. It was not long after this, though, when, in the following year, Champollion was finally able to take the next step and create his system, or “key,” to move on from names to other words in Egyptian. ​How did he do this? He never explained his exact process, but we can put together a few events from the time to help explain his breakthrough. Champollion realized that there were not nearly enough hieroglyphic signs on the Rosetta Stone to be able say everything that the Greek version of the text said if the hieroglyphs each represented a single thing or idea. Perhaps also influenced by a recently published grammar of Chinese, which showed that many of the signs in Chinese were phonetic – that is, they represented sounds – rather than representing things or ideas, Champollion finally realized that many Egyptian hieroglyphs were also purely phonetic. Once he had this piece of the puzzle, he was able to use his intimate knowledge of Coptic and its vocabulary with his new found ability to recognize the sounds of many hieroglyphic signs in order to start deciphering hieroglyph after hieroglyph and word after word. He would subsequently publish a more comprehensive study of the hieroglyphic system of writing in 1824. Ever since Champollion published his findings, which he did largely without acknowledging Young’s important work, there has been a fierce debate about whether he used Young’s ideas without crediting him or whether Young’s discoveries had no influence on Champollion, who instead had reached the same conclusions on his own. Opinions often fall along nationalistic lines, with those from England tending to see Champollion’s work as based on that of Young without due acknowledgement and those from France tending to see Young as unimportant in the path to decipherment and Champollion has having been the only serious innovator. ​To learn more about the decipherment of ancient Egyptian writing, check out the recommended books below. If you’re interested seeing more on this site about ancient Egyptian writing and its decipherment in the future, let me know in the comments what topics or questions you would like me to address in future posts. ​An engaging read about Champollion, his brother, and other scholars who were trying to decipher ancient Egyptian hieroglyphs in the nineteenth century (and before). 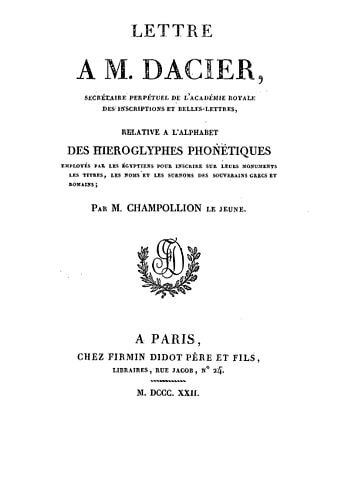 Robinson provides both a biography of Champollion and a detailed play-by-play of the decipherment itself, including who all the players were in the decipherment game. A wonderful overview of the Rosetta Stone, decipherment of hieroglyphs, and an introduction to how hieroglyphs (and other ancient Egyptian scripts) actually work. This is a catalog that accompanied a museum exhibit, so it also includes many black and white and some color photographs of ancient Egyptian objects and the people involved in decipherment.